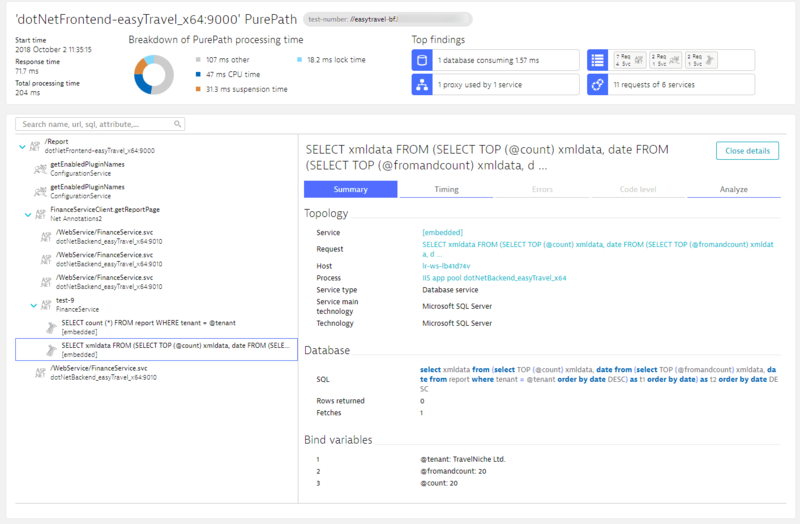 Due to high network and storage demands, support for bind variables is only available for Dynatrace Managed deployments, not SaaS deployments. Java JDBC: select count (*) from report where tenant = ? Bind variables allow the database server to prepare the statement once and execute it multiple times without reparsing or reanalyzing it. select count (*) from report where tenant = ‘xxxx’. These statements can&apos;t be parameterized and are reparsed and reanalyzed by the database server with each execution. 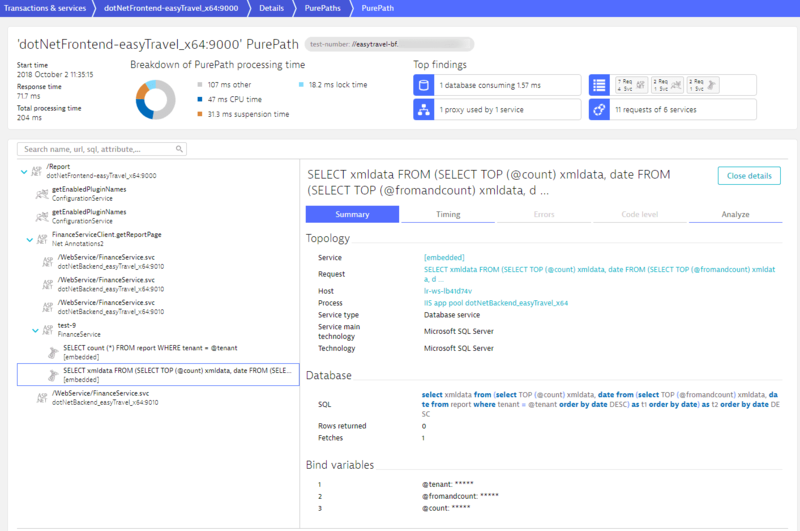 Note: This feature can capture a lot of sensitive data, which is why it&apos;s available only within Dynatrace Managed environments. Because it can generate high network traffic and storage demands, it&apos;s recommended to use it with caution and only for specific process groups. From the Dynatrace Managed Cluster Management Console navigation menu, click Settings > Server-side service monitoring > Deep monitoring. 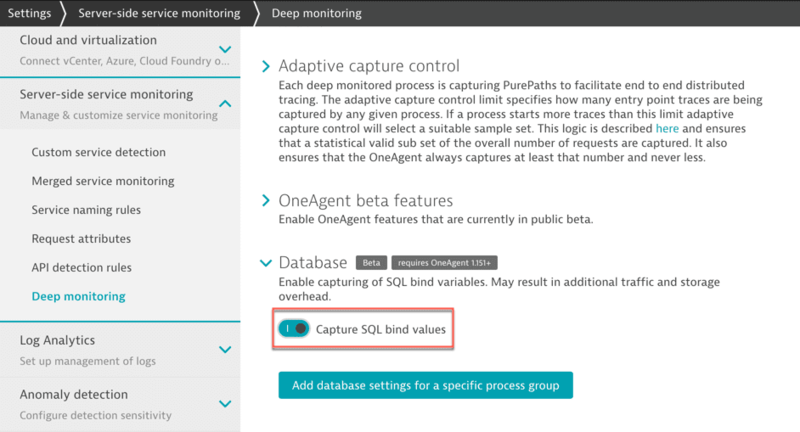 Under Database, enable the Capture SQL bind values setting. A sample result of this feature is PurePaths. The following web page illustrates the masking of bind variables. Bind variables are considered confidential as they can contain IDs and other sensitive values. Learn how to ensure the data privacy of your customers. Only users who have permission to view a specific entity or management zone can view the bind variables within that entity or zone.